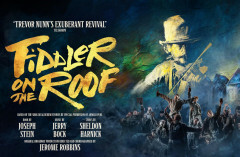 In 1971 Fiddler on the Roof, the movie, wowed audiences around the world, an Oscar winning adaption of the original Broadway musical that ran for almost a decade. This story has already delighted millions. Now the awesome Trevor Nunn, a British national treasure, has brought it zinging back to life, and it's due at the Playhouse theatre in spring 2019. 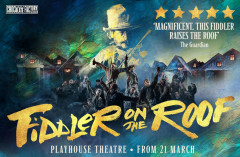 As the Guardian said, giving the musical a four star review, ‘This Fiddler raises the roof. 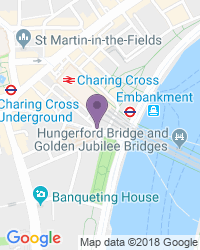 A note-perfect production.’ The many great reviews it has attracted are no surprise really, since the original run at the Menier Chocolate Factory sold out in no time, with tickets going like hot cakes from the start. Maybe it's a nostalgia thing, maybe it's the thrill of seeing a fresh new version of a popular tale, but whatever the reason, the Tony and Olivier award-winning director Trevor Nunn’s ‘exuberant revival’ (The Telegraph) of this magical Broadway classic is proving a huge hit. Best of all, the venue will be transformed especially for the event into an exciting immersive space to display this perfectly-tailored production to perfection. You'll love seeing ancient and new traditions colliding in this incredibly joyful celebration of life, the universe and everything... with a satisfyingly dark side. The story? When Tevye’s three rebellious elder daughters choose their own husbands, their father realises life is changing, and he must change with the times. Their choices are unexpected, but he does everything he can to open his heart and mind to new possibilities. At the same time the wider community that lives in his tiny, remote village is also feeling the uncanny winds of change. But it's the songs that really mark this musical as a work of genius. Even if you've never seen the film you'll recognise some of the show tunes, especially the incredibly popular If I Were a Rich Man. It's joined by a multitude more tunes including the brilliant Tradition, Matchmaker Matchmaker, Sunrise Sunset and more, complemented beautifully by Jerome Robbins’ original Tony award-winning choreography. The Financial Times says it 'bursts from the stage’, 'bringing new life to one of the most beloved musicals of all time.' The Telegraph says, 'The tears ring true in Trevor Nunn's exuberant revival’. The Evening Standard calls it ‘a defiant portrait of Jewish resilience’ and The Times calls it 'shiveringly intimate'. Apparently Andy Nyman is a perfect fit as Tevye and the Daily Mail comments that ‘Judy Kuhn provides musical class’. This lively, colourful, magical musical is probably best-suited to people aged 10 and over. Great show. Really great acting and singing. Haven't seen the movie but really strong, funny and poignant story if you're not familiar with it. Avoid the Upper Balcony seats though. Absolutely amazing show. Great actors great everything. This was a lovely show that did not disappoint. It has humour but tells the story really well. The acting by everyone was brilliant. I will be recommending this to all my friends. Show & performance was excellent, large cast helped. Engages you fully with songs and humour. Uplifting. Challenging and very very enjoyable. More to it than sentimentality. Excellent production. Mirrors the film. The production was excellent. The acting second to none. The story was followed to the letter. I recommend it. Although not quite the transformation we were promised designer Robert Jones has done a lovely job of making the stalls of the Playhouse Theatre feel magical for this beguiling revival of a classic musical. 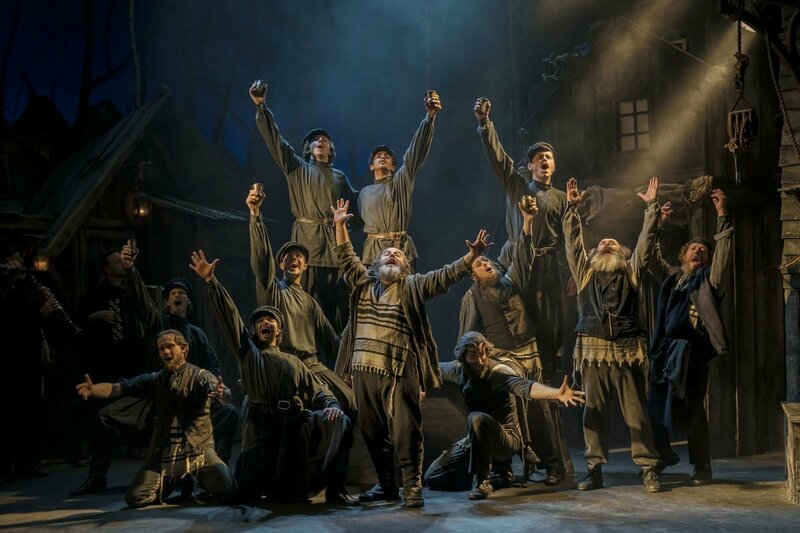 What’s behind the Enduring Appeal of Fiddler on the Roof? 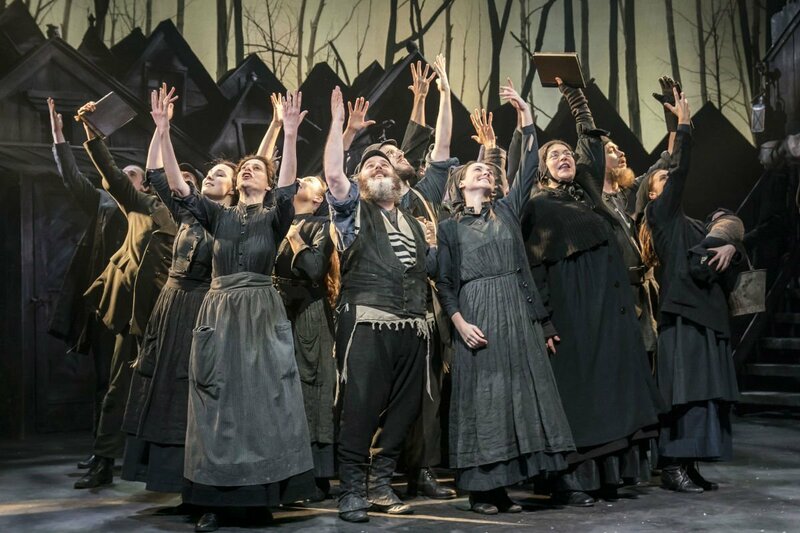 Full casting has been announced for the transfer of classic Broadway musical Fiddler on the Roof, a revival which is moving from the little Menier Theatre near London Bridge to the Playhouse Theatre in the West End. Great news! 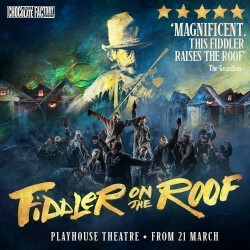 It’s been announced that Chocolate Factory Productions, Sonia Friedman Productions and Michael Harrison will transfer The Menier Chocolate Factory’s production of FIDDLER ON THE ROOF, as directed by Trevor Nunn, to the Playhouse Theatre from 21 March for a limited run until 15 June. 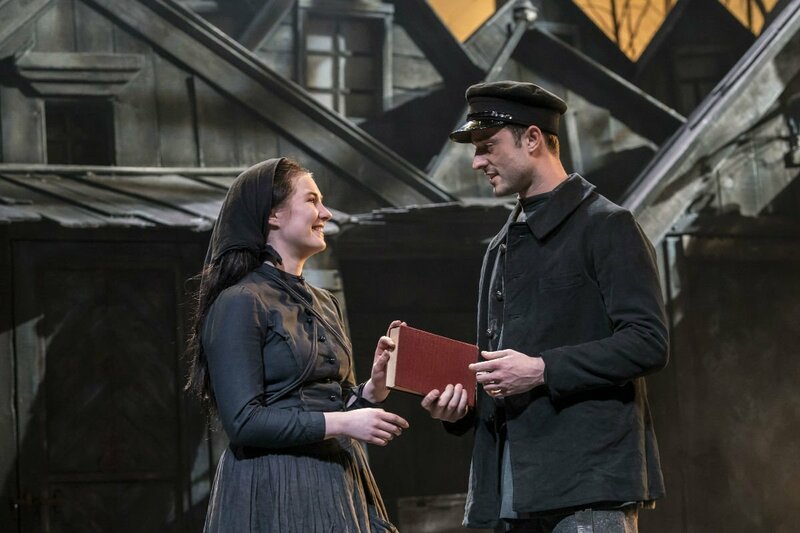 FIDDLER ON THE ROOF is back and it should be an treat! The end of year musical at the Menier Chocolate Factory, an intimate theatre near London Bridge, is often a big deal with shows like LITTLE SHOP OF HORRORS and SWEET CHARITY transferring to the WEST END and even, in the case of THE COLOUR PURPLE, A LITTLE NIGHT MUSIC and LA CAGE AUX FOLLES reaching Broadway. 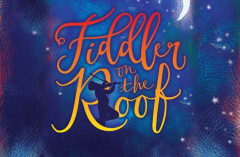 Use the search box at the top left of this page to search for Fiddler on the Roof tickets availability.